Memory is important. In our memory is where we hold the visions of past loved ones, it’s where the sound of their voice resides, and where the lessons they teach are kept. The US Holocaust Memorial Museums goal is to keep such memories alive for today’s and future generations, so that people can learn from the past and improve the future. While the USHMM keeps the memory of those lost alive, they themselves were suffering a memory problem of a different kind. USHMM security surveillance operates six virtualized network video recorders, each processing multiple video feeds, with video files being kept for one month prior to being purged and rewritten. 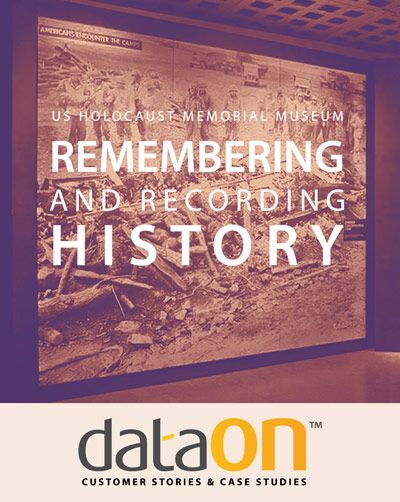 With up to dozens of video files being written and rewritten daily, a large strain was placed on USHMM storage array and its drives. USHMM begun to experience consistent drive failures averaging two failed drives a month draining more time, energy, and resources on RAID rebuilds. USHMM first storage array was a specialized IP video SAN from Intransa. After five years of hard service, with constant writes and rewrites, their Intransa SAN and drives were quickly reaching their end of life. During this time, Intransa went out of business, leaving USHMM with no vendor support. With failing storage infrastructure and no hope of vendor support USHMM begun a search for new storage options.